"Tech has a remarkable ability to transcend borders"
And several companies have already been engaging with the Palestinian tech sector. Cisco and Microsoft outsource to the West Bank, while Google, Techstars Foundation, and GitHub offer funding to Palestinian entrepreneurs. Below you'll find links to articles that talk about Palestine's tech sector, along with blog posts and write ups by young engineers and veteran executives on their experiences of visiting, teaching and mentoring in Palestine. If you're interested in visiting, please see our logistics page. The irony of leaving SF to find myself playing ping pong at a startup in the West Bank does not escape me. I didn’t go with an agenda — I felt that teaching [Data Science] would add to the experience of my trip and allow me to better understand the true nature of living in the region. Salik Syed is a entrepreneur working in the areas of AI and Data Visualization. He was the co-founder of Parastructure (acquired by Dropbox). He taught in the Code + Design Bootcamp in 2017. Code for Palestine was an incredible experience. I’ve always enjoyed teaching..But I [realized] that kids outside the Bay Area don't have as much exposure to computer science, so I jumped at the chance to bring coding to students in Palestine. Jessie Duan is a Product Engineer at Quora and co-founder of Girls Teaching Girls to Code. She was part of a group of Stanford students in 2015 and 2017 that taught Computer Science and Design Thinking in Palestine. I spent only two days with GSG, and would have been happy to spend ten. Once you are in through the door it has the feel of a typical incubator. Lots of young entrepreneurs, high energy, laughing, laptops everywhere, people camped out whenever they can get to a plug, and unlike Silicon Valley, 50% women. Penny Herscher serves on four public company boards: Lumentum, Rambus, Faurecia SA and Verint Systems, and is Chairman at Savonix, a startup. She was President & CEO of Simplex and FirstRain. There was something about Gaza Sky Geeks that felt like a family. Spaces that allow people with dreams to truly experiment are more than just another startup laboratory, they allow that contagious optimism to spread. 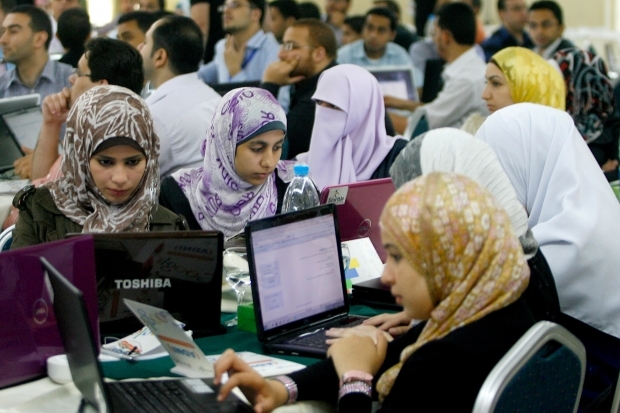 Sign up with your email address to hear about new programs and ways to get involved with Palestine’s tech sector. We promise to not send you very many emails.